MAC Studio Makeup: All the infromation you need to make the right choice. MAC Studio Makeup is one of the highest quality makeup lines available to the public today. It is a favorite of some of the best makeup artists in Hollywood, as well as makeup connoisseurs and celebrities. One thing to keep in mind when looking for this line of makeup is that it goes by a lot of names. MAC Studio , MAC Pro Makeup , and MAC Cosmetics are all the same line by somewhat different names. Originally “Makeup Art Cosmetics” was a New York City based company that only sold to professional salon's and makeup artists, making it a highly coveted brand. Today, however, anyone can enjoy their makeup items and purchase them on the public market. They are even retailed by higher end department stores like Nordstrom and Bloomingdale's. On the retail makeup scale, MAC is a much higher end and more expensive line than most. Their products are definitely worth well above their cost, but the prices can still be steep for the best of the best. The majority of their items cost between $15 and $50 per item, although you can often find deals online. However, when shopping online it is important to be aware of scams and knock offs, and make sure that the makeup you are buying isn't old or non-authentic. Many lip colors behind the fancy makeup counters can often cost more than $30 for a single tube, and aren't as long lasting and richly colored as Makeup Art Cosmetics products. Their glosses, too, are one of the best and at a price of $14 can be a steal. Right now, MAC is giving back by donating 100% of the selling price of their Viva Glam lip gloss to the MAC Aids Fund. This fund is dedicated to helping men, women, and children in the United States living with HIV/AIDS, and is supported through the sales of their many shades of fabulous Viva Glam lip gloss. They pledge the entire $14 price of the lip gloss customer's buy, which is an awesome contribution for a beautiful product. MAC Makeup is one of those product lines that keeps its customers very loyal through their superior products. Once you try out what they have to offer, you won't want to go back to the drugstore brands. 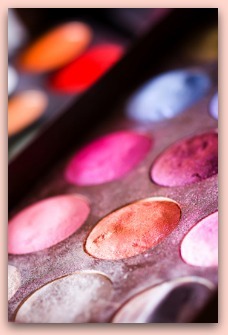 Their makeup items are probably best known for their long lasting wear and their depth of color. Both of these things can be difficult to find in other brands, even expensive department store lines. While most eye shadows, eyeliners and lip colors tend to rub off during the day, MAC Studio makeup gets rave reviews for its staying power on the face. Of course, it is always a good idea to pair these with a primer beforehand to get the absolute best and freshest look all day. Their long lasting wear, coupled with an immediate depth of color means that you use a lot less each day than you would of other makeups. You might even say that this makes up for some of the extra cost in the long run. If price is the only thing holding you back from giving the professional line a try, search around for MAC Studio Makeup on Amazon.com for the cheapest prices.